Before turning to these questions, however, let me first review where the economy is now and where it’s likely headed–a necessary backdrop for understanding why, after more than six years of maintaining a near-zero federal funds rate and accumulating a large portfolio of longer-term securities, the Committee is now giving serious consideration to beginning to reduce later this year some of the extraordinary monetary policy accommodation currently in place. In assessing the actual strength of the labor market and the broader economy, we must bear in mind that these very welcome improvements have been achieved in the context of extraordinary monetary accommodation. While the overall level of real activity now appears to be much closer to its potential than it was a year or two ago, the economy in an “underlying” sense remains quite weak by historical standards, for the simple reason that the increases in hiring and output that have been achieved thus far have required exceptionally low levels of short- and longer-term interest rates, reflecting a highly accommodative stance of monetary policy. Interest rates have been, and remain, very low, and if underlying conditions had truly returned to normal, the economy should be booming. As I will discuss shortly, this assessment concerning the underlying strength of real activity has important policy implications. While there has been considerable progress on the maximum employment leg of our dual mandate, progress on the price stability leg has been notably absent. Inflation as measured by the price index for personal consumption expenditures has been running below the FOMC’s longer-run goal of 2 percent for a number of years, and on a 12‑month basis is currently 1/4 percent. Some of the weakness in inflation likely reflects continuing slack in labor and product markets. However, much of this weakness stems from the sharp decline in the price of oil and other one-time factors that, in the FOMC’s judgment, are likely to have only a transitory negative effect on inflation, provided that inflation expectations remain well anchored. The Committee’s decision about when to begin reducing accommodation will depend importantly on how economic conditions actually evolve over time. Like most of my FOMC colleagues, I believe that the appropriate time has not yet arrived, but I expect that conditions may warrant an increase in the federal funds rate target sometime this year. So let me spell out the reasoning that underpins this view. An important factor working to increase my confidence in the inflation outlook will be continued improvement in the labor market. A substantial body of theory, informed by considerable historical evidence, suggests that inflation will eventually begin to rise as resource utilization continues to tighten.2 It is largely for this reason that a significant pickup in incoming readings on core inflation will not be a precondition for me to judge that an initial increase in the federal funds rate would be warranted. With respect to wages, I anticipate that real wage gains for American workers are likely to pick up to a rate more in line with trend labor productivity growth as employment settles in at its maximum sustainable level. We could see nominal wage growth eventually running notably higher than the current roughly 2 percent pace. But the outlook for wages is highly uncertain even if price inflation does move back to 2 percent and labor market conditions continue to improve as projected. For example, we cannot be sure about the future pace of productivity growth; nor can we be sure about other factors, such as global competition, the nature of technological change, and trends in unionization, that may also influence the pace of real wage growth over time. These factors, which are outside of the Federal Reserve’s control, likely explain why real wages have failed to keep pace with productivity growth for at least the past 15 years. For such reasons, we can never be sure what growth rate of nominal wages is consistent with stable consumer price inflation, and this uncertainty limits the usefulness of wage trends as an indicator of the Fed’s progress in achieving its inflation objective. Under normal circumstances, simple monetary policy rules, such as the one proposed by John Taylor, could help us decide when to raise the federal funds rate.3 Even with core inflation running below the Committee’s 2 percent objective, Taylor’s rule now calls for the federal funds rate to be well above zero if the unemployment rate is currently judged to be close to its normal longer-run level and the “normal” level of the real federal funds rate is currently close to its historical average. But the prescription offered by the Taylor rule changes significantly if one instead assumes, as I do, that appreciable slack still remains in the labor market, and that the economy’s equilibrium real federal funds rate–that is, the real rate consistent with the economy achieving maximum employment and price stability over the medium term–is currently quite low by historical standards.4 Under assumptions that I consider more realistic under present circumstances, the same rules call for the federal funds rate to be close to zero.5 Moreover, I would assert that simple rules are, well, too simple, and ignore important complexities of the current situation, about which I will have more to say shortly. 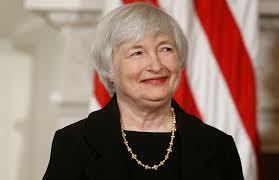 The FOMC will, of course, carefully deliberate about when to begin the process of removing policy accommodation. But the significance of this decision should not be overemphasized, because what matters for financial conditions and the broader economy is the entire expected path of short-term interest rates and not the precise timing of the first rate increase. The spending and investment decisions the FOMC seeks to influence depend primarily on expectations of policy well into the future, as embedded in longer-term interest rates and other asset prices. More important than the timing of the Committee’s initial policy move will be the strategy the Committee deploys in adjusting the federal funds rate over time, in response to economic developments, to achieve its dual mandate. Market participants’ perceptions of that reaction function and the implications for the likely longer-run trajectory of short-term interest rates will influence the borrowing costs faced by households and businesses, including the rates on corporate bonds, auto loans, and home mortgages. Let me therefore turn to the second question I posed earlier: How are economic and financial considerations likely to shape the course of monetary policy over the next few years? Let me first be clear that the FOMC does not intend to embark on any predetermined course of tightening following an initial decision to raise the funds rate target range–one that, for example, would involve similarly sized rate increases at every meeting or on some other schedule. Rather, the actual path of policy will evolve as economic conditions evolve, and policy tightening could speed up, slow down, pause, or even reverse course depending on actual and expected developments in real activity and inflation. Reflecting such data dependence, as well as some historically unusual policy considerations that I will discuss shortly, the average pace of tightening observed during previous recoveries could well provide a highly misleading guide to the actual course of monetary policy over the next few years. Our goal in adjusting the federal funds rate over time will be to achieve and sustain economic conditions close to maximum employment with inflation averaging around 2 percent, responding, as best we can, to the inevitable twists and turns of the economy. Keeping in mind the all-important proviso that policy is never predetermined but is always data dependent, what can we say about the appropriate path of policy, assuming the most likely outcomes for real activity, inflation, and related factors? The answer is that it depends, of course, on one’s outlook for the economy. Today I will focus on the modal outlook presented by FOMC participants’ submissions to the March Summary of Economic Projections (SEP), which assumes that no further unanticipated disturbances buffet the economy. As I noted at my press conference after last week’s FOMC meeting, participants generally project that the unemployment rate will continue to fall through late 2017 to levels at or somewhat below estimates of its longer-run sustainable level, accompanied by growth in real gross domestic product that runs somewhat above its estimated longer-run trend with inflation moving up to around 2 percent. This solid economic performance is projected to be consistent with a gradual normalization of monetary policy: The median funds rate projection in the March SEP increases apercentage point per year on average through the end of 2017. The projected combination of a gradual rise in the nominal federal funds rate coupled with further progress on both legs of the dual mandate is consistent with an implicit assessment by the Committee that the equilibrium real federal funds rate–one measure of the economy’s underlying strength–is rising only slowly over time. In the wake of the financial crisis, the equilibrium real rate apparently fell well below zero because of numerous persistent headwinds. These headwinds include tighter underwriting standards and restricted access to some forms of credit; the need for households to reduce their debt burdens; contractionary fiscal policy at all levels of government after the initial effects of the fiscal stimulus package had passed; and elevated uncertainty about the economic outlook that made firms hesitant to invest and hire, and households reluctant to buy houses, cars, and other discretionary goods. Fortunately, the overall force of these headwinds appears to have diminished considerably over the past year or so, allowing employment to accelerate appreciably even as the level of the federal funds rate and the volume of our asset holdings remained nearly unchanged.6 Stated differently, the economy’s underlying strength has been gradually improving, and the equilibrium real federal funds rate has been gradually rising. Although the recent appreciation of the dollar is likely to weigh on U.S. exports over time, I nonetheless anticipate further diminution of the headwinds just noted over the next couple of years, and as the equilibrium real funds rate continues to rise, it will accordingly be appropriate to raise the actual level of the real federal funds rate in tandem, all else being equal.7 At present, the equilibrium real federal funds rate, which by some estimates is currently close to zero, appears to be well below the longer-run normal levels assessed by the FOMC. The median SEP estimate of this longer-run normal rate–that is, the long-run projection of the nominal funds rate less 2 percent inflation–stood at 1-3/4 percent in the FOMC’s recent projections.8 Provided that inflation shows clear signs over time of moving up toward 2 percent in the context of continuing progress toward maximum employment, I therefore expect that a further tightening in monetary policy after the first increase in the federal funds rate will be warranted. Should incoming data, however, fail to support this forecast, then the actual path of policy will need to be adjusted appropriately. As I noted, my FOMC colleagues and I generally anticipate that a rather gradual rise in the federal funds rate will be appropriate over the next few years, conditional on our baseline forecasts for real activity, inflation, and other aspects of the economy’s performance. So far in my remarks, I have emphasized one key rationale for such a judgment–namely, that the equilibrium real federal funds rate is at present well below its historical average and is anticipated to rise only gradually over time as the various headwinds that have restrained the economic recovery continue to abate. If incoming data support such a forecast, the federal funds rate should be normalized, but at a gradual pace. A second reason for the Committee to proceed cautiously in removing policy accommodation relates to asymmetries in the effectiveness of monetary policy in the vicinity of the zero lower bound. In the event that growth in employment and overall activity proves unexpectedly robust and inflation moves significantly above our 2 percent objective, the FOMC can and will raise interest rates as needed to rein in inflation. But if growth was to falter and inflation was to fall yet further, the effective lower bound on nominal interest rates could limit the Committee’s ability to provide the needed degree of accommodation. With an already large balance sheet, for example, the FOMC might be concerned about potential costs and risks associated with further asset purchases. Research suggests that, the higher the probability of monetary policy becoming constrained by the zero lower bound in the near future because of adverse shocks, and the more severe the attendant consequences for real activity and inflation, the more current policy should lean in accommodative direction.12 In effect, such a strategy represents insurance against the zero lower bound by aiming for somewhat stronger real activity and a faster rise in inflation under the modal outlook. Given the modal outlook envisioned in FOMC participants’ recent forecasts, with headwinds continuing to diminish, the equilibrium real rate rising, and inflation moving back up to 2 percent over the next few years, the risk that the funds rate would need to return to near zero should be declining appreciably. Consistent with this assessment, almost all FOMC participants now view the risks to the outlook for real activity as largely balanced, although some also see inflation risks as weighted to the downside. A final argument for gradually adjusting policy relates to the desirability of achieving a prompt return of inflation to the FOMC’s 2 percent goal, an objective that would be advanced by allowing the unemployment rate to decline for a time somewhat below estimates of its longer-run sustainable level. To a limited degree, such an outcome is envisioned in many participants’ most recent SEP projections. A tight labor market may also work to reverse some of the adverse supply-side developments resulting from the financial crisis. The deep recession and slow recovery likely have held back investment in physical and human capital, restrained the rate of new business formation, prompted discouraged workers to leave the labor force, and eroded the skills of the long-term unemployed.15 Some of these effects might be reversed in a tight labor market, yielding long-term benefits associated with a more productive economy. That said, the quantitative importance of these supply-side mechanisms are difficult to establish, and the relevant research on this point is quite limited. Of course, taking a gradualist approach is not without risks. Proceeding too slowly to tighten policy could have adverse consequences for the attainment of the Committee’s inflation objective over time, especially if it were to undermine the FOMC’s inflation credibility. Inflation could, for example, exhibit nonlinear dynamics in which high levels of unemployment place relatively little downward pressure on inflation, but tight labor markets generate marked upward pressure. If so, a decline in unemployment below its natural rate could cause inflation to quickly rise to an undesirably high level. Rapid increases in short-term interest rates to arrest such an unwelcome development could, in turn, have adverse effects on financial markets and the broader economy. To conclude, let me emphasize that in determining when to initially increase its target range for the federal funds rate and how to adjust it thereafter, the Committee’s decisions will be data dependent, reflecting evolving judgments concerning the implications of incoming information for the economic outlook. We cannot be certain about the underlying strength of the expansion, the maximum level of employment consistent with price stability, or the longer-run level of interest rates consistent with maximum employment. Policy must adjust as our understanding of these factors changes. However, if conditions do evolve in the manner that most of my FOMC colleagues and I anticipate, I would expect the level of the federal funds rate to be normalized only gradually, reflecting the gradual diminution of headwinds from the financial crisis and the balance of risks I have enumerated of moving either too slowly or too quickly. Nothing about the course of the Committee’s actions is predetermined except the Committee’s commitment to promote our dual mandate of maximum employment and price stability. 8. For example, the estimate of the equilibrium real rate from the Laubach-Williams model for 2014:Q4 is negative 0.16. For information on the model, see Thomas Laubach and John C. Williams (2003), “Measuring the Natural Rate of Interest,” Leaving the Board Review of Economics and Statistics, vol. 85 (November), pp.1063-70; updated estimates of the baseline model are available on the Federal Reserve Bank of San Francisco website at www.frbsf.org/economic-research/economists/john-williams/Laubach_Williams_updated_estimates.xlsx. Another recent study, however, concludes that the equilibrium real rate is probably in the range of 1 to 2 percent while also emphasizing that estimates in this area are quite imprecise; see James D. Hamilton, Ethan S. Harris, Jan Hatzius, and Kenneth D. West (2015), “The Equilibrium Real Funds Rate: Past, Present, and Future (PDF),” working paper (San Diego: University of California at San Diego, March).